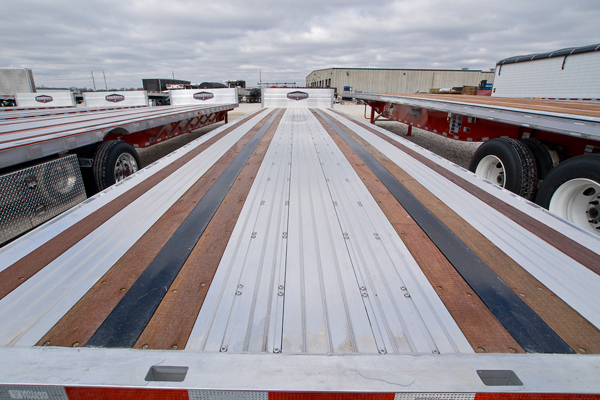 The Roadbrute straight deck and drop deck flatbeds have played a prominent role in making the combination steel and aluminum flatbeds as popular as they are today. 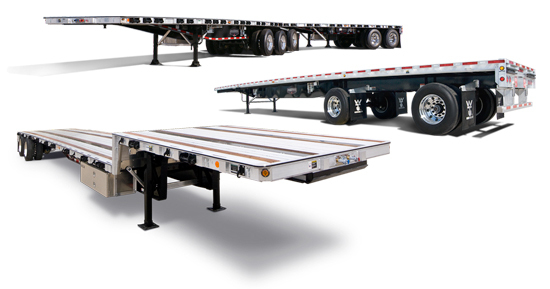 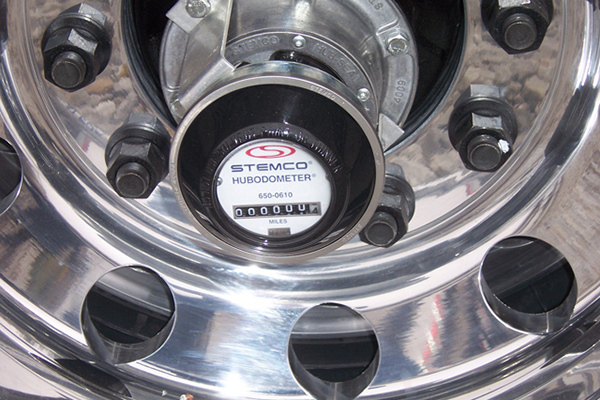 Our Roadbrute features outstanding weights, unbeatable capacities, and unprecedented durability at competitive prices. 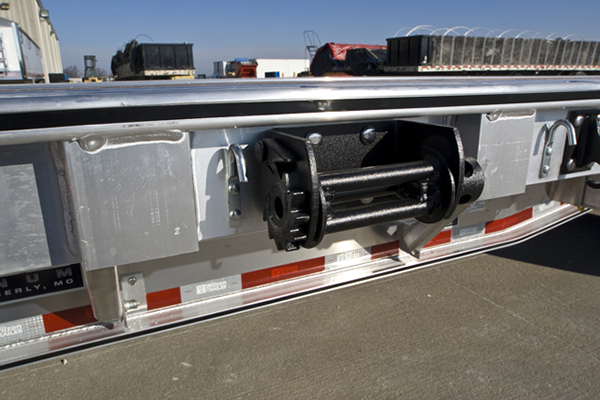 Weight savings near 1,500 lb. 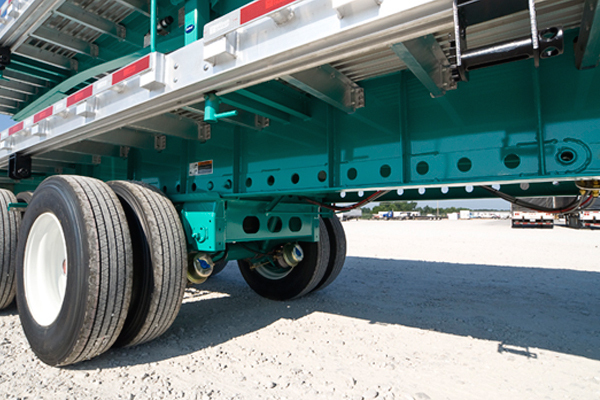 Capacities up to 90,000 lb. 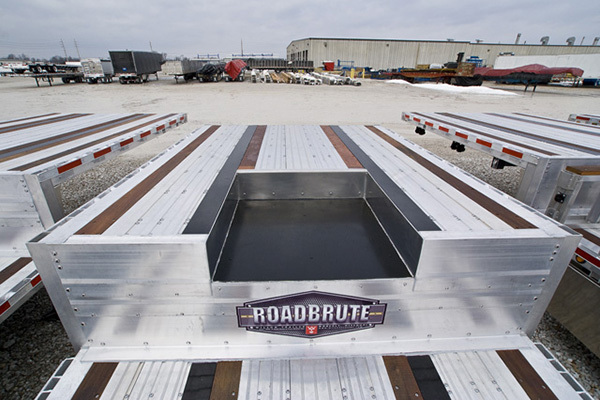 The main beams of the Roadbrute are fabricated from high quality steel with a precision plasma-cut camber or “arch”. 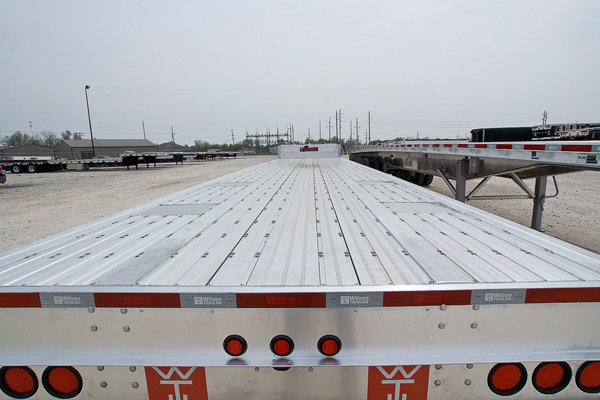 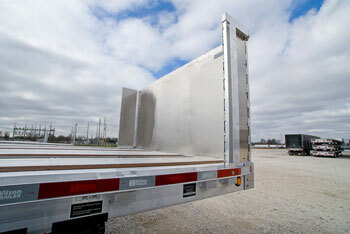 The mirror image construction removes the possibility of high or low beams on a Wilson trailer. 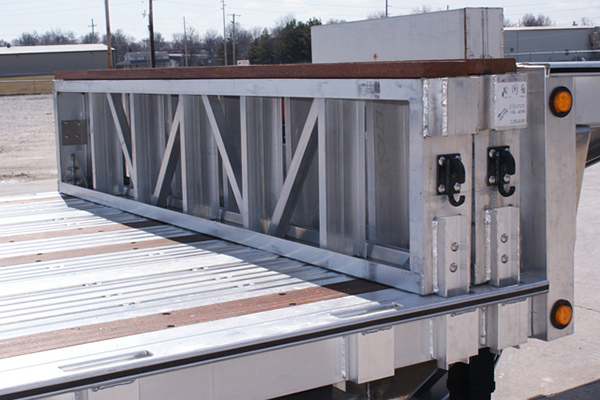 Our ONE-PIECE beam design, from the rear to front, is created using 130,000-PSI flange material and high strength web material. 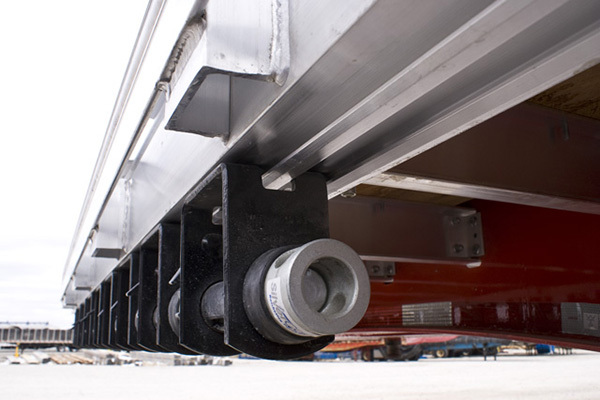 The beams are automatically welded top and bottom, both inside and out, producing a beam design with superior strength you can rely on. 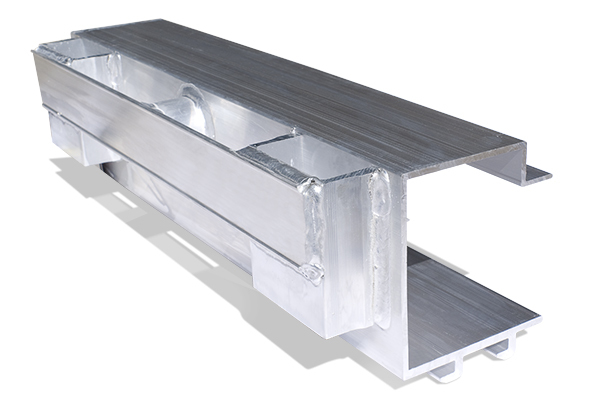 Three full depth internal aluminum cross structures are used for beam stabilization. 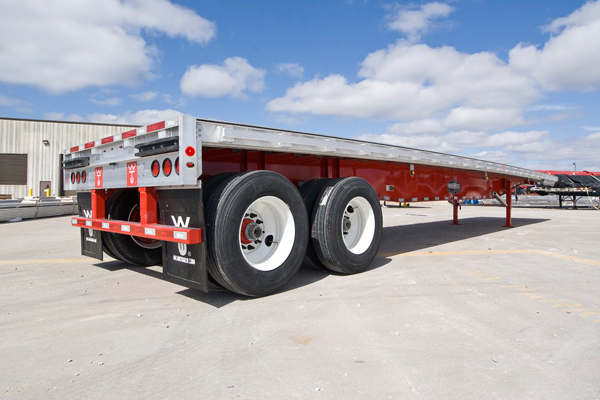 Wilson maintains a five-year structural warranty on the no-splice main beams. 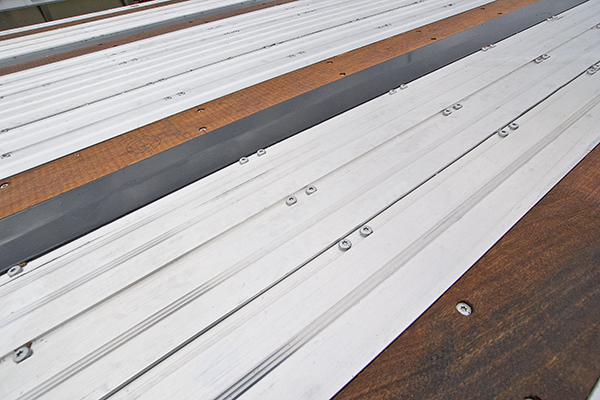 Use of top quality materials and production methods helps to create our long-lasting beam. 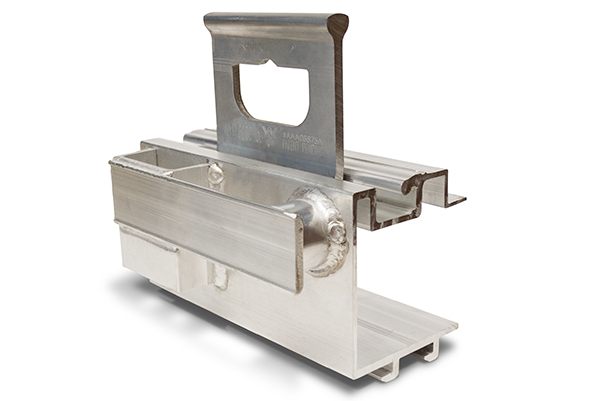 Wilson’s new patented side rail and securement design is fully supported, top and bottom, with a new TJ style crossbar design that increases the strength of the rail and crossbar connections. 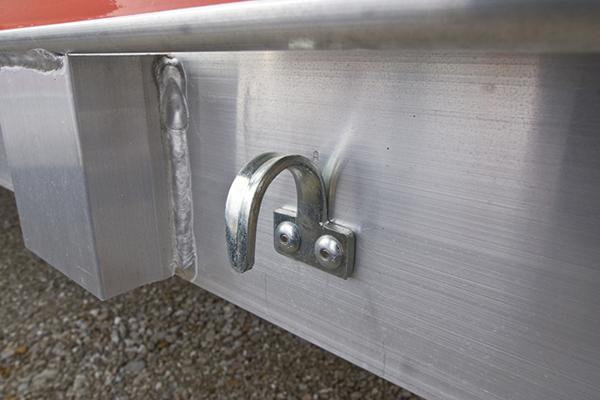 An integrated double “L” winch track allows winches to slide easier and enhances curb appeal of the trailer. 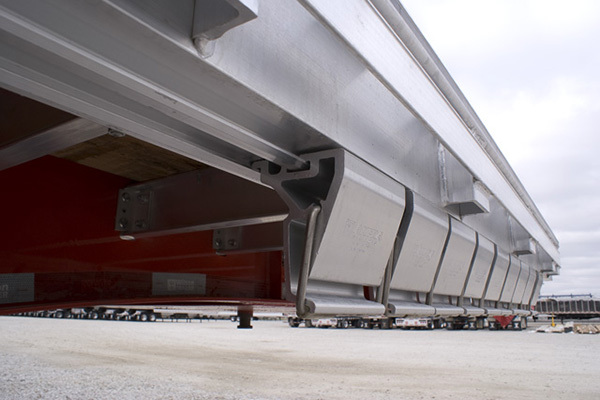 A “Quick Tie” plate receiving rail, located in the outside rail and below floor level, allows wider loads to be secured at multiple locations along the rail and is not susceptible to mud, ice and gunk build-up. 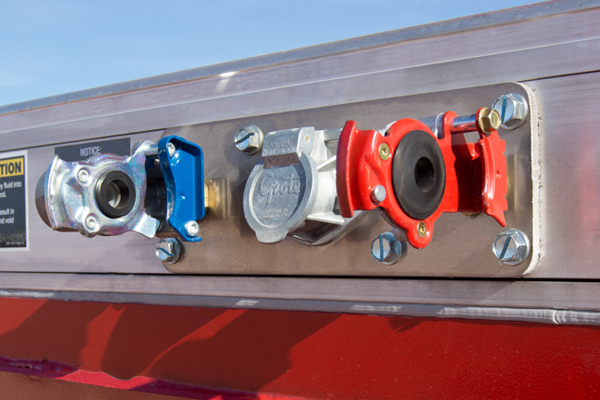 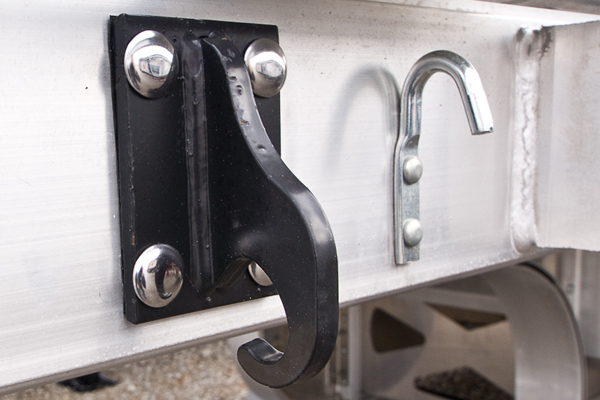 The large cutouts in the outside rail easily fit 4″ wide winch straps. 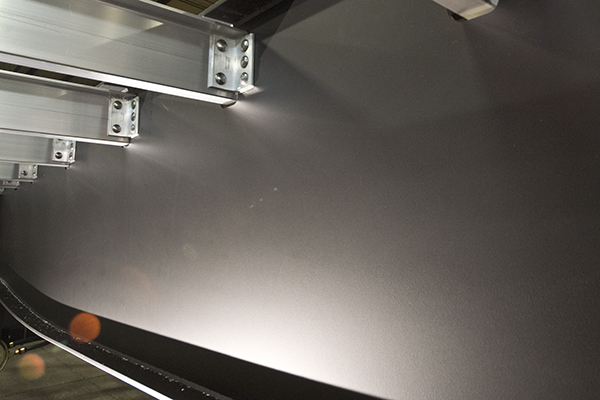 Wilson uses a Corsol™ coating/primer throughout the king pin assembly. 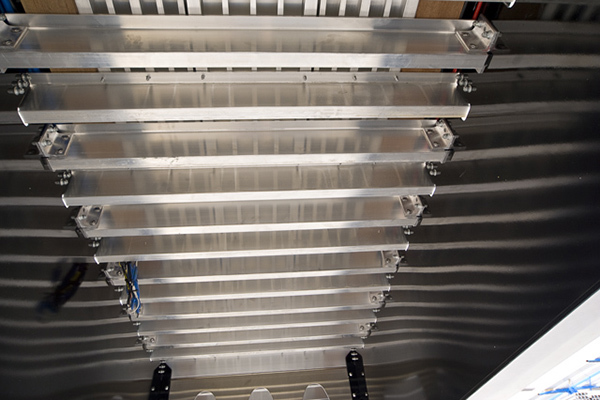 Components treated with Corsol™ become highly chip resistant and galvanically non-conductive so dissimilar metals can be fastened together. 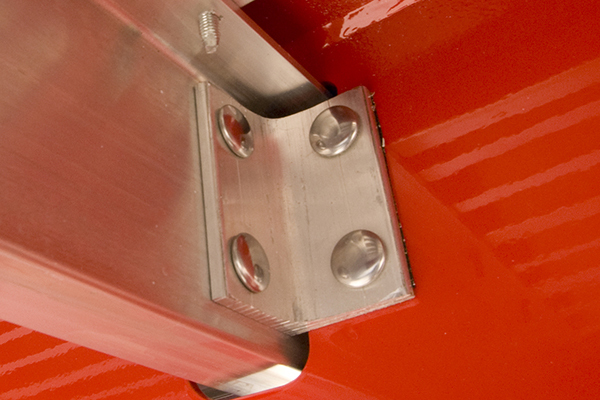 This coating permeates the steel to help resist corrosion from the inside out rather than the outside in. 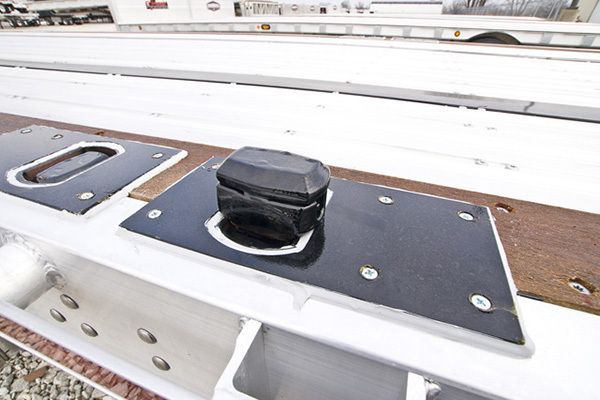 The king pin component is then undercoated and painted to give you the very best corrosion resistance in a vital structural area. 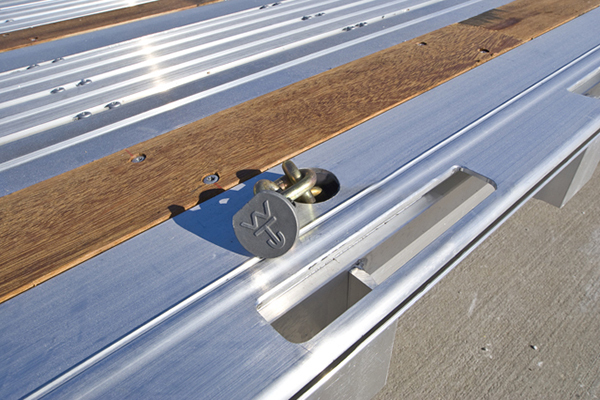 Wilson also offers a completely galvanized king pin component as an option. 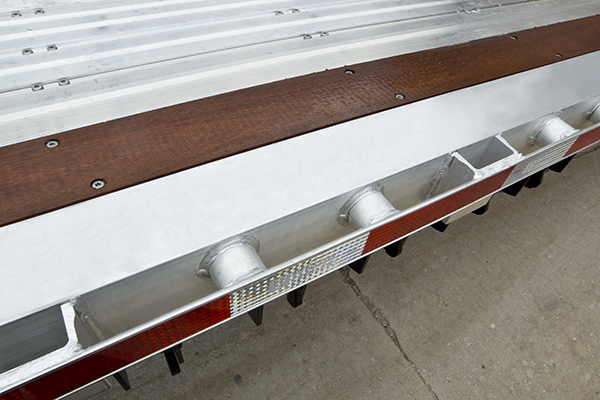 The aluminum crossbar is an essential component in making the Roadbrute a “true” combo trailer. 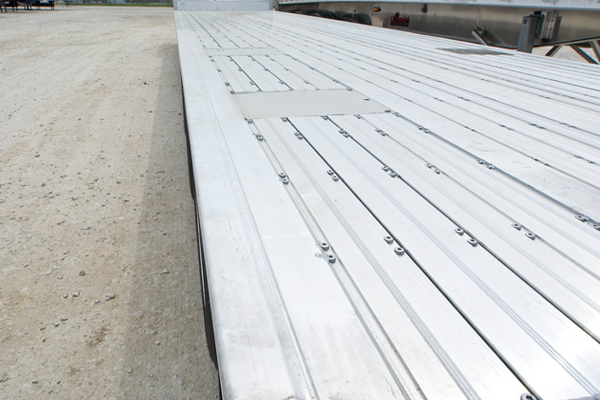 The corrosion resistant quality of aluminum, versus the fast rust out tendency of hi-tensile steel, allow the extrusion to not rust or deteriorate and also adds to the resale value. 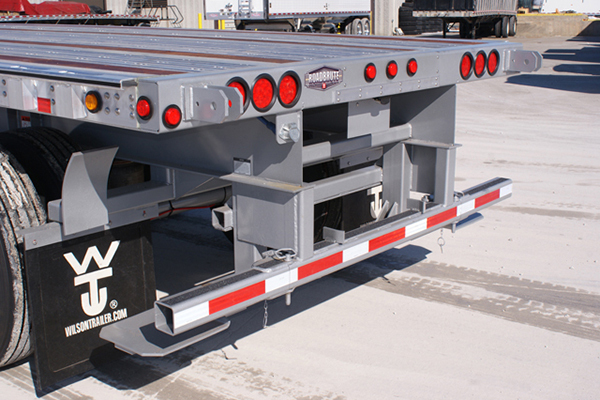 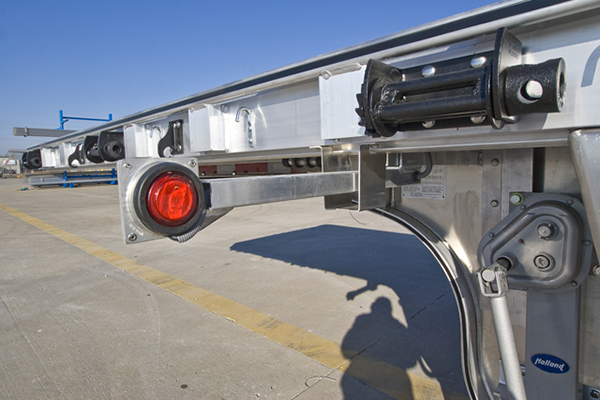 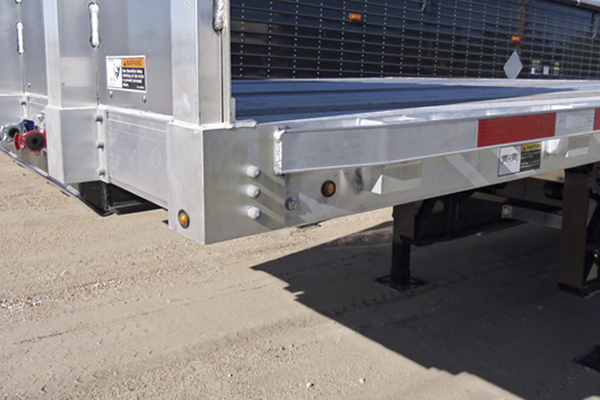 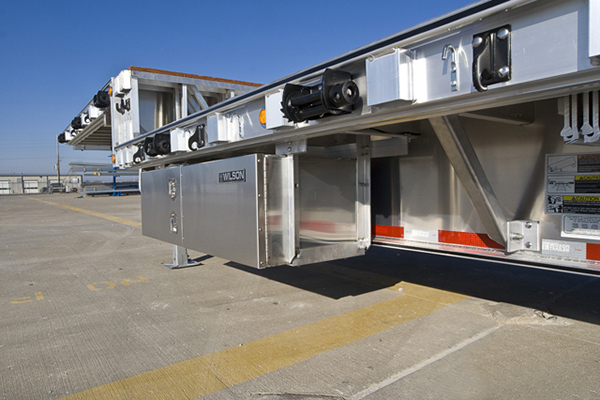 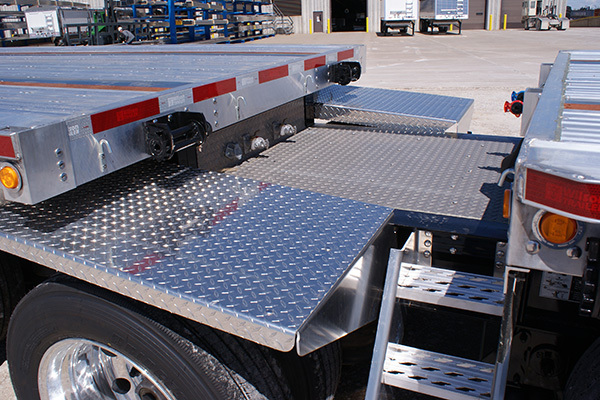 Aluminum crossbars run the full width of the trailer and are fastened to the main beam using aluminum clips that are added after the beam has been entirely painted. 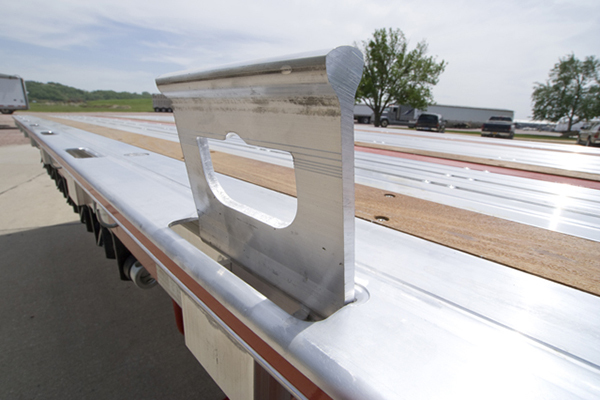 There is a triple layer of protection separating the aluminum clip from the main beam – primer, paint and a 3-M plastic barrier. 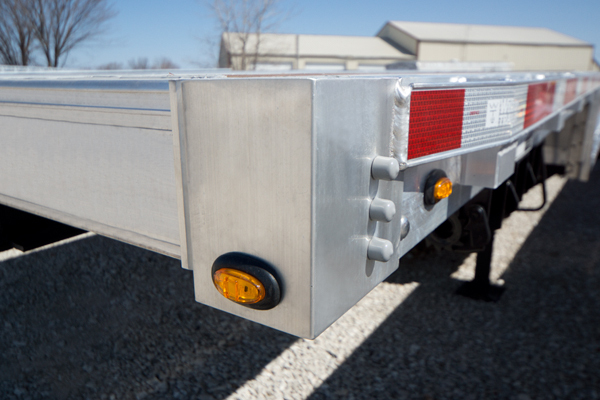 As an added feature Wilson attaches the clips by using stainless steel fasteners eliminating rusting and the associated issues. 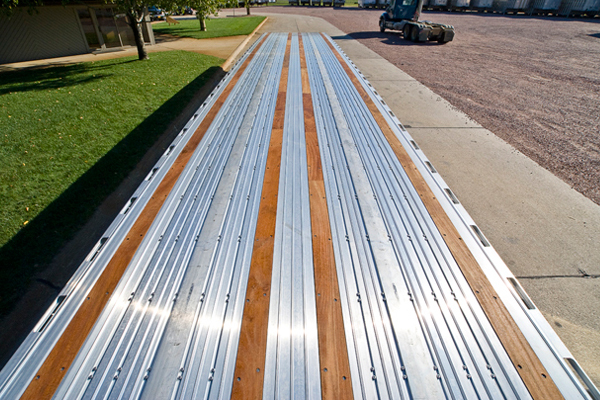 The floor of the Roadbrute is made of 1-3/8″ thick aluminum flooring material with apitong nailer strips, both running the full length of the trailer without any splices. 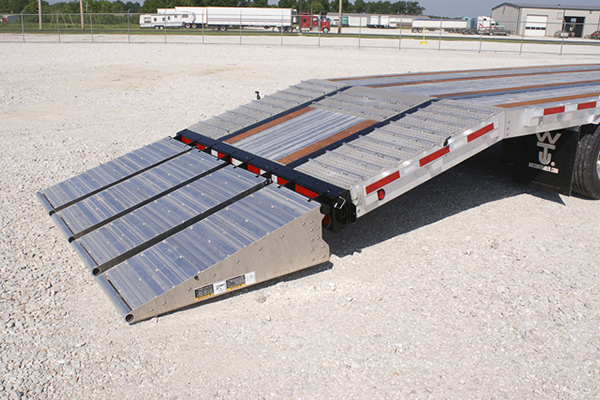 This makes the trailer very stable and successfully reduces side sway. 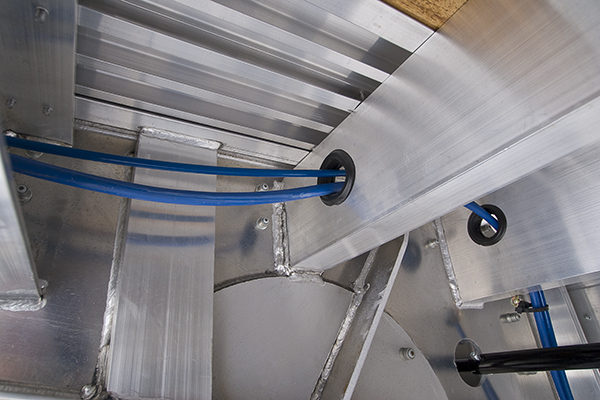 The floors are fastened to every aluminum crossbar using two 5/16″ grade 8 screws. 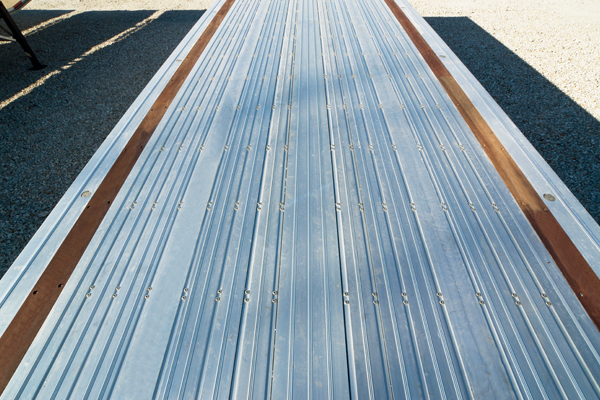 The use of double screws and full-length flooring material gives the Roadbrute great floor capacity and floor life. 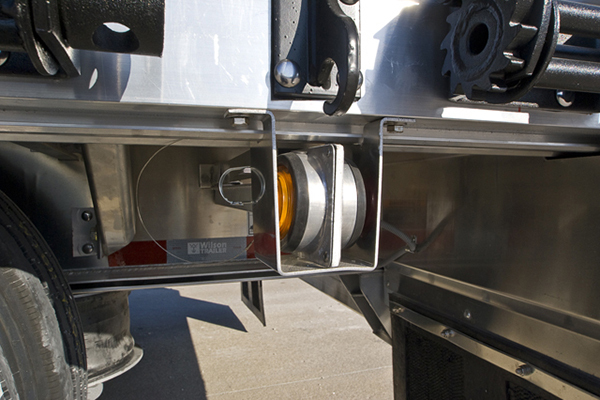 Rock chips and the corrosive chemicals used on today’s roadways can have an unsightly and devastating effect on steel components which can shorten a trailer’s life and reduce its value. 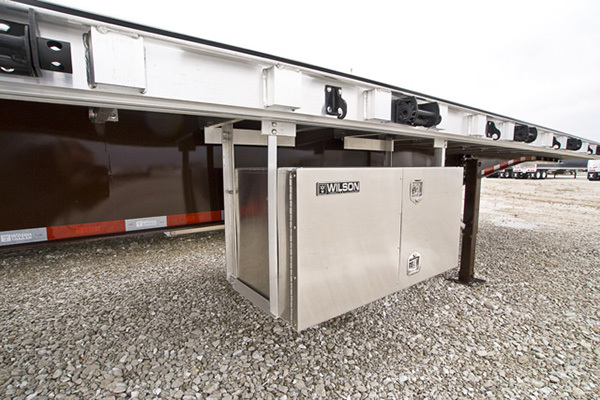 That is why Wilson Trailer has taken industry leading steps to fight corrosion. 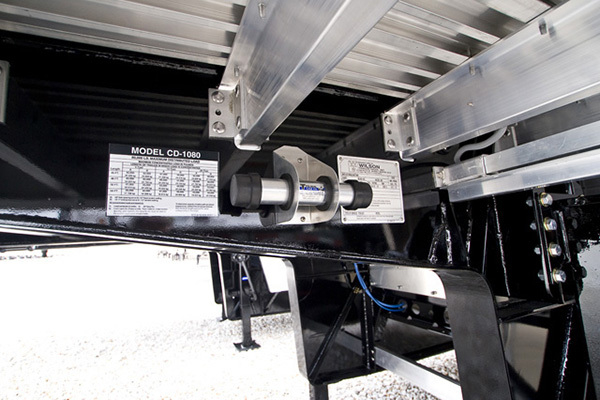 Wilson shot blasts all steel components, followed by a chemical rinse, then paints on an anti-corrosive metal treatment called Corsol®. 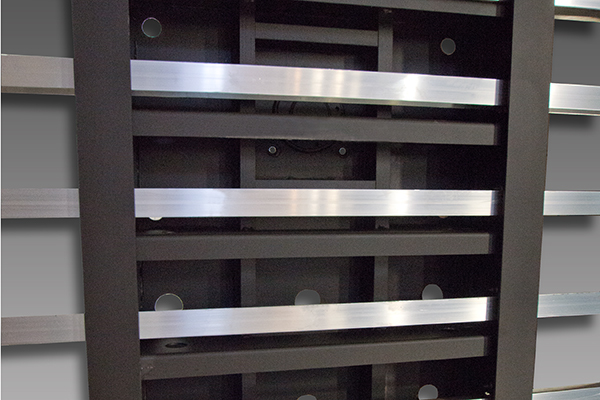 The result is an attractive flat black color that can be left as the standard final finish or it can be top coated with the color of your choice. 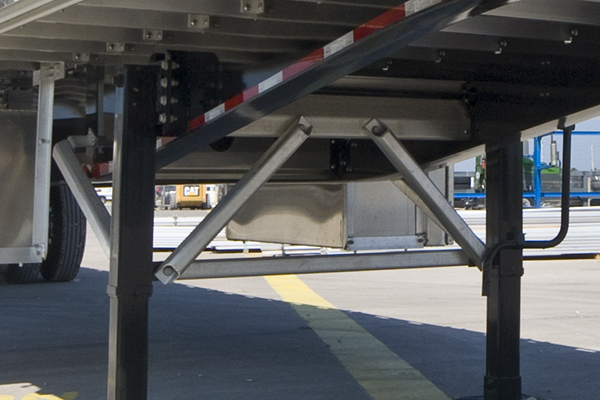 Corsol is a copolymer that molecularly bonds to the metal surface to prevent corrosion from blistering, peeling and undercutting the surface. 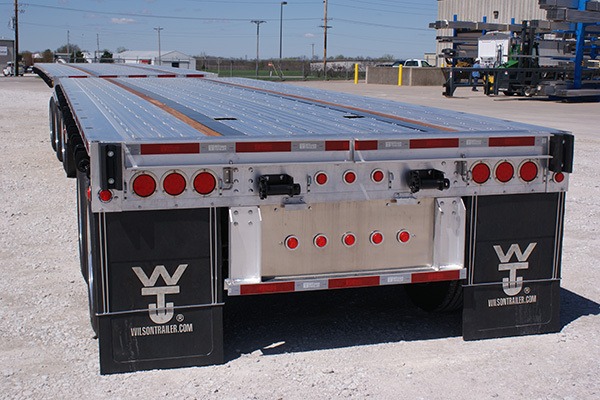 To prevent any galvanic corrosion between dissimilar metals, Wilson also places a coplymer material between the aluminum and steel trailer components. 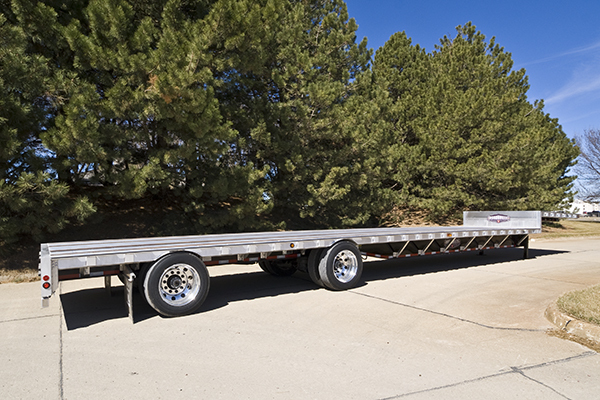 The wise uses of lightweight aluminum components whenever possible lends itself to a trailer that will not only last a long time; it will have low maintenance costs, too. 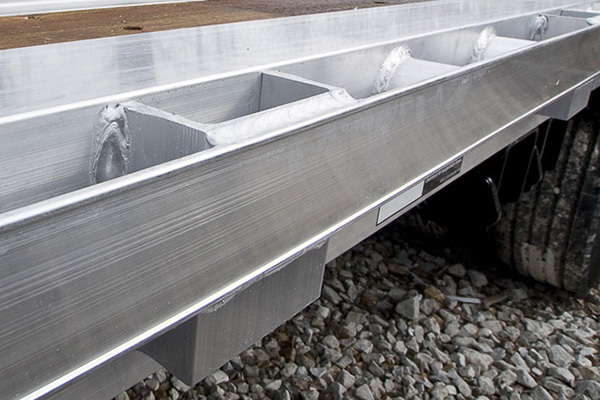 Aluminum’s natural ability to resist corrosion means rusting issues will not compromise the component’s strength; it will remain strong and durable. 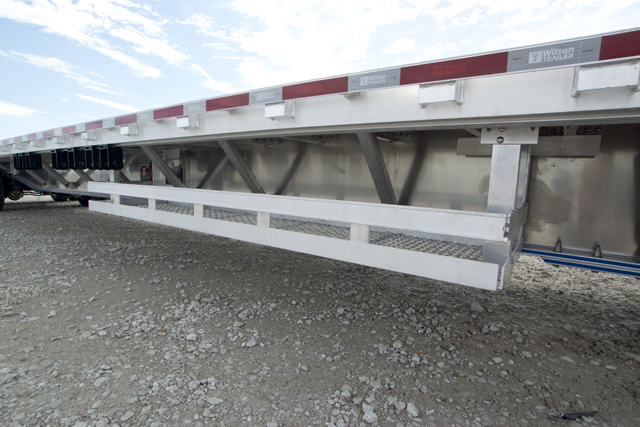 Aluminum is much lighter than steel without sacrificing load capacity, so you can haul more payload with confidence. 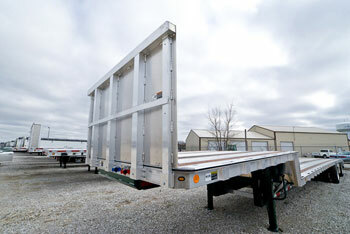 It only makes sense to purchase a trailer with as many aluminum components as the Roadbrute. 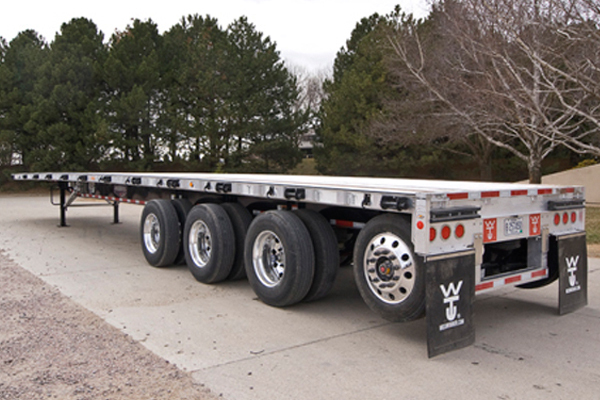 Years down the road you will be money ahead. 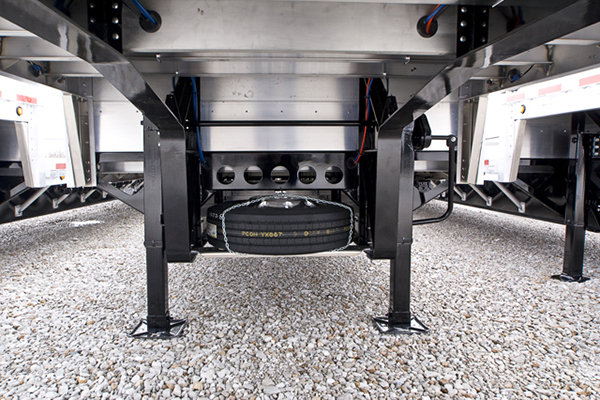 The trailers are standard with a Grote wiring harness featuring the internally grounded Ultra-Blue sealed trailer-wiring system. 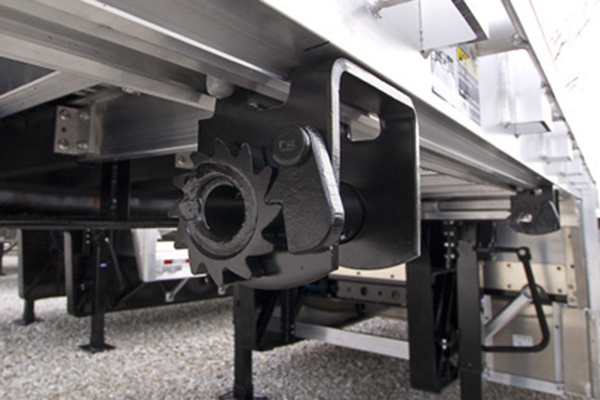 This system uses stainless steel fasteners and carries a 10-year warranty. 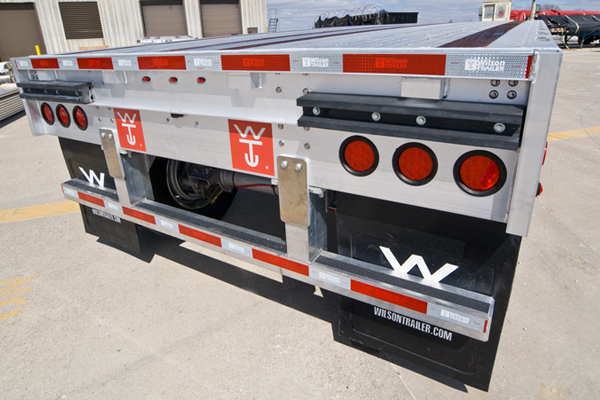 Wilson’s redesigned front end has a cleaner, lower profile with gladhand and electrical hookups mounted on a removable access plate. 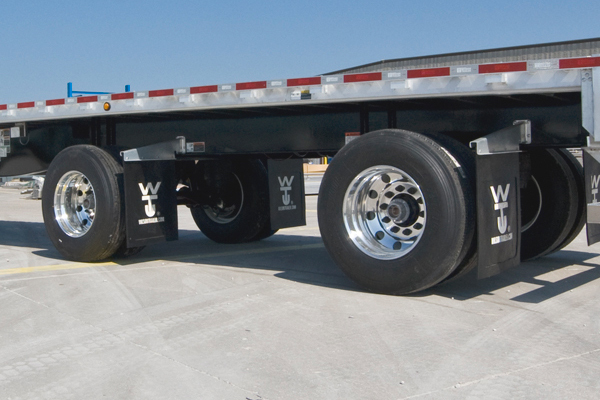 Wilson provides a variety of optional suspensions designed to make the most of gross weight limitations depending on your locale. 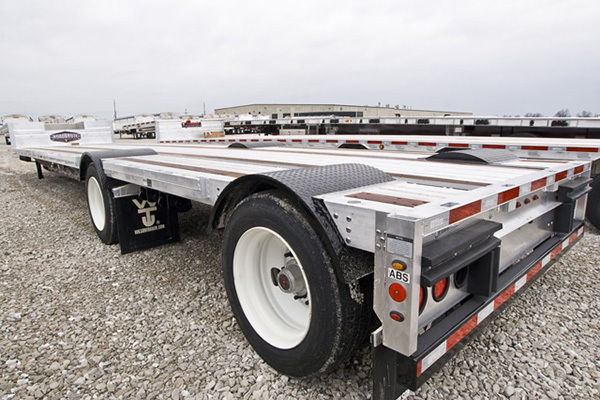 In addition to the standard TJ side rail, Wilson offers a more traditional style (C-style) side rail incorporating the same integrated double “L” sliding winch track. 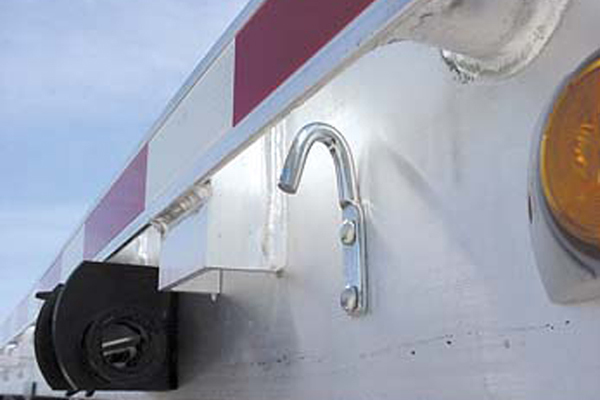 The new C+ style rail includes the “Quick Tie” plate receiving rail into the top of the side rail, which allows securement at any point along the rail. 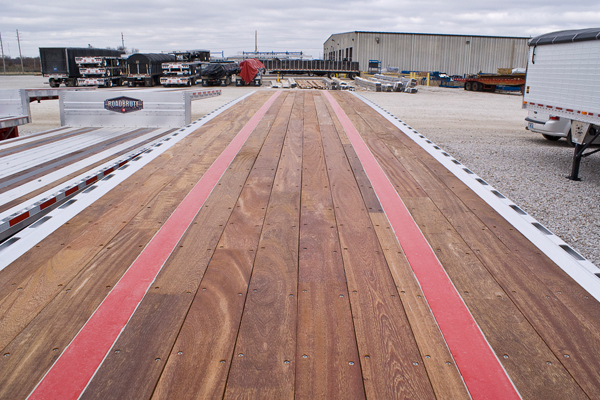 Wilson’s floors are a rugged 1-3/8″ thick and are standard with two apitong nailer strips. 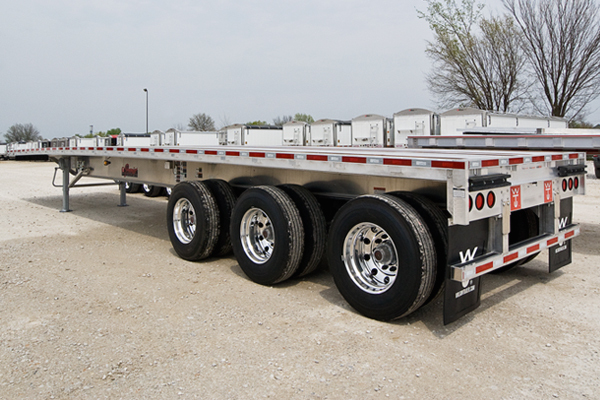 Several other configurations are available. 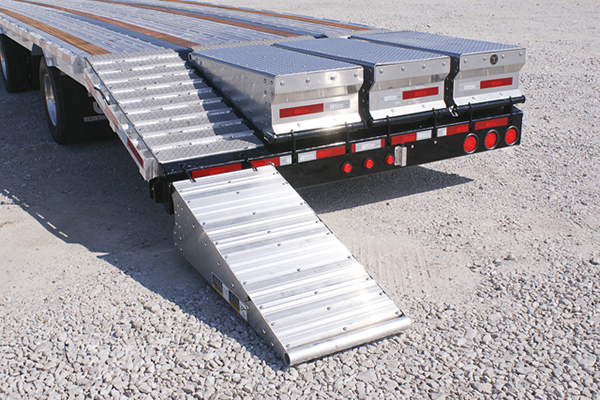 Talk to your Wilson Authorized Sales Representative to spec the correct floor for your needs.